Hi! Hope everyone had a great holiday. I have finally got my new sewing machine!!! It's not the one I previously posted about because it was just plain too expensive. I love what I ended up choosing. It's sleek and modern and quiet and AWESOME. I have my wonderful friends Lyann and Andy to thank for my lovely new sewing machine. You guys are amazing. Hugs and kisses! I'm also going to start selling purses in my shop. Mamas need cool stuff too. 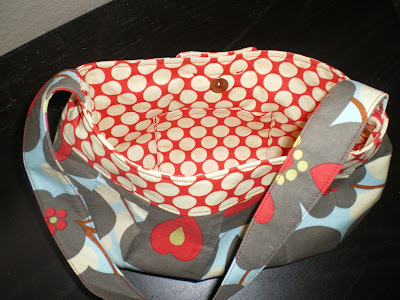 I love making bags since I am a purse fanatic and I don't have to worry whether or not a purse is going to "fit". I have managed to squeeze in the time to finish a Buttercup Mini and I want to give this one away. The bag is a perfect size to carry your essentials and has both a little pocket inside and a magnetic snap closure to make sure nothing falls out. I really like how it turned out and can't wait to make more. 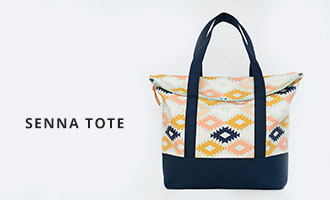 The bags are based on a pattern designed by Rae Hoekstra. 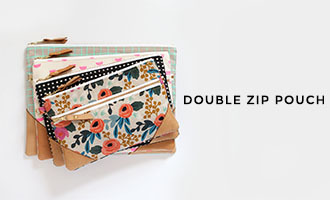 There will be a small sized bag, the Buttercup Mini, and a larger sized Buttercup bag as well. Most of these will probably be one of a kind so if you see something you like, grab it will it's available! Cute little bag! And I love the machine. Can't wait to see what comes next. Great giveaway! Hope I win!! LOVE the print! i wish i could sew! Allison- Just get yourself a little sewing machine and dive in. Doesn't have to be anything fancy to start out with. I think it's a very rewarding hobby! Very cute! 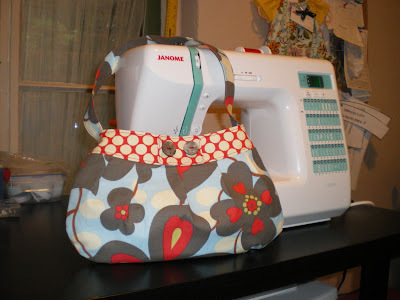 I look forward to seeing all the awesome purses you end up making! Thanks for the chance to win one! Congrats on your first giveaway - what a great start! !